Silicon Valley does a lot of things well. The cringe-inducing moments that happen each episode only happen because you care about the main characters so much. If you didn’t care what happened to Richard, Jared, Dinesh, Gilfoyle, and yes, even Erlich, you wouldn’t be inclined to cringe when they get themselves into a another mess. But, they do it all the same, and you cringe all the same. But at least it’s extremely hilarious on the way there. This week on Silicon Valley: Jack remains hell-bent on the box platform, causing Gilfoyle to begin looking for work elsewhere. As a part of that process, Gilfoyle finds out that EndFrame has their complete formula. He also receives a bunch of courting gifts from companies. Dinesh buys himself some jewelry. Erlich offers to speak to Jack on their behalf. Richard goes over Jack’s head to Laurie, which creates more problems than it solves. The guys to decide to build the platform anyway, which results in a devastating moment. 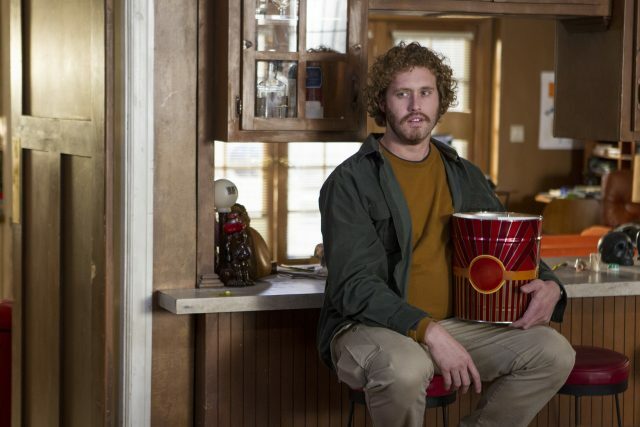 As complicated and cringe-inducing as the plot points of this show can be, Silicon Valley is still a hilarious show. This episode was evidence, as it had the biggest plot twist of the season so far (and getting there was PAINFUL) but they still induced plenty of laughs along the way. One of the best marks of a good comedy, for me anyway, is how often I laugh out loud during the show. “Meinertzhagen’s Haversack” had plenty of laughs to go around. Probably the best part of this episode, for me, was having Erlich back in the main story with the other guys. Last week, though his interactions with Jian Yang were hilarious, I was disappointed at his involvement level in the main plot. But this week’s episode nearly went full-Bachman, and for that I’m truly grateful. Though Erlich can be ridiculous, he’s one of the funniest characters on the show. Much more show when his interaction is not limited to Jian Yang (though that little yell he gave when Jian Yang went for a slice of pizza? Gold.). You’ll see in my favorite quotes, but Erlich back in the main action was a huge highlight of this episode for me. T.J. Miller is a riot. Aside from that, I love when Silicon Valley supplements the plot of each story with a running joke. This week was Dinesh’s gold chain. No matter how anxiety inducing the plot had become (and it really had, by the end there), there was always a crack about Dinesh’s gold chain to bring everyone back down to Earth a little bit. The show handles the running jokes masterfully, and inserts them when you least expect it, which is key to a good recurring bit. This episode had no shortage of laughs. It was also an excellent setup for what comes next. That was the end of my screeners, so I’m as excited as anyone else to find out what happens, now that Jack has discovered the gang’s secret plot to build the platform anyway. “Meinertzhagen’s Haversack” was an exercise (a successful one, at that) of keeping the plot fresh and intriguing, and still bringing the laughs full force. What did you guys think? What’s going to happen to the guys? Let us know in the comments!